Thank you Kirk! It is GORGEOUS. Believe it or not that is an absinthe spoon, a “grille” spoon of the god Pan. Made by friend. Superb artistry! In silver! And has the most awesome and funny inscription on the back. WOW – Ondine looks positively MALEVOLENT in that photo – killer lil spoon!! Oh my gosh (faints)..Ondine owns that beautiful spoon now. She’s going to use it. wow, you had chance to have had a ksy, me I did not have money when there was still, and now that does not exist any more, it is a pity. your ksy is more than splendid, it ‘s a jewel!!! 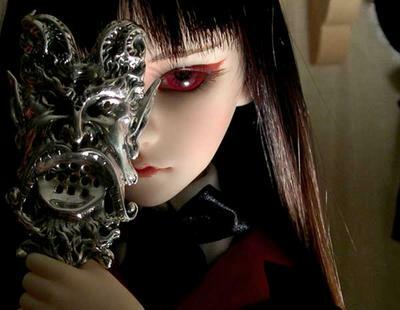 a doll more than beautiful!!!! she is sublime!!!!! Next Next post: But, but… she matches my curtains!